If you’ve searched for handmade soap on crafty websites such as Etsy, you have probably come across melt and pour (MP) soap. Etsy is filled with beautiful, brightly colored, sometimes translucent soaps in any array of interesting shapes, colors and sizes, also referred to as “glycerin soap.” MP soap is actually a blend of true soap ingredients (natural oils and lye) plus glycerin and synthetic ingredients ranging from alcohol-based emulfsifiers like sorbitol and sorbitan oleate to solvents like propylene glycol. 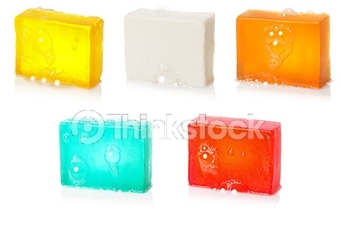 These chemicals allow the soap to melt (true soap doesn’t melt), giving the crafter a product that they can melt and form into any shape desired. MP bases may also contain synthetic foamers such as sodium lauryl sulfate (also a detergent) and some are part soap/part detergents such as triethanolamine (one of the first ingredients in those clear Neutrogena bars, FYI). Since MP soap is a less natural product to begin with, it’s also more likely that synthetic fragrances may be used instead of true essential oils. Another tell-tale sign of MP soap is that glycerin is in the ingredient list. MP soap bases are more drying (in soap-maker jargon, they are not “super-fatted”) so glycerin is added to keep the soap from being too harsh for skin while still allowing the product to be translucent (though not all MP soap is translucent and many MP soap bars actually look exactly the same as soap made from scratch). In comparison, true handmade soap (made from scratch) has glycerin too, but it is part of the natural soap-making process and not added to the recipe. On the bright side, MP soap bases can be purchased at local craft stores and are safe to use around children. MP soap is made with lye, just like true soap, this step is just done for you beforehand (do not add lye to a MP base, you can make a soap that will burn you!). 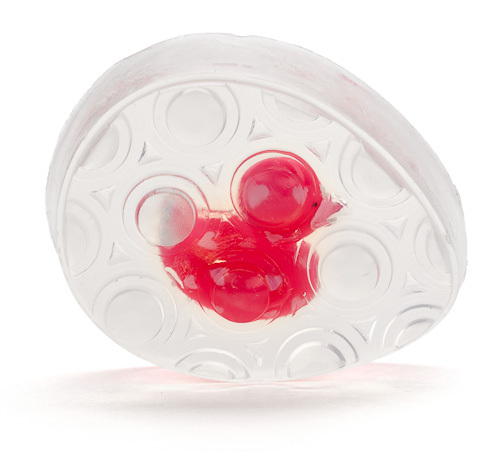 MP soap base is easy to work with and can be poured even into thin plastic molds and removed easily. Depending on the recipe, it can even be remelted (alcohol-based MP bases are often a one-shot product, while bases with propylene glycol can be melted repeatedly). Sorbitol: Alcohol-based emulsifier & skin-softener. Helps soap to melt. Propylene glycol: Solvent. Allows soap to melt. One of the most common sources of chemical sensitivities are synthetic fragrances. An ingredient called “fragrance” or followed by FO (Fragrance Oil) tells you that the fragrance is synthetic. 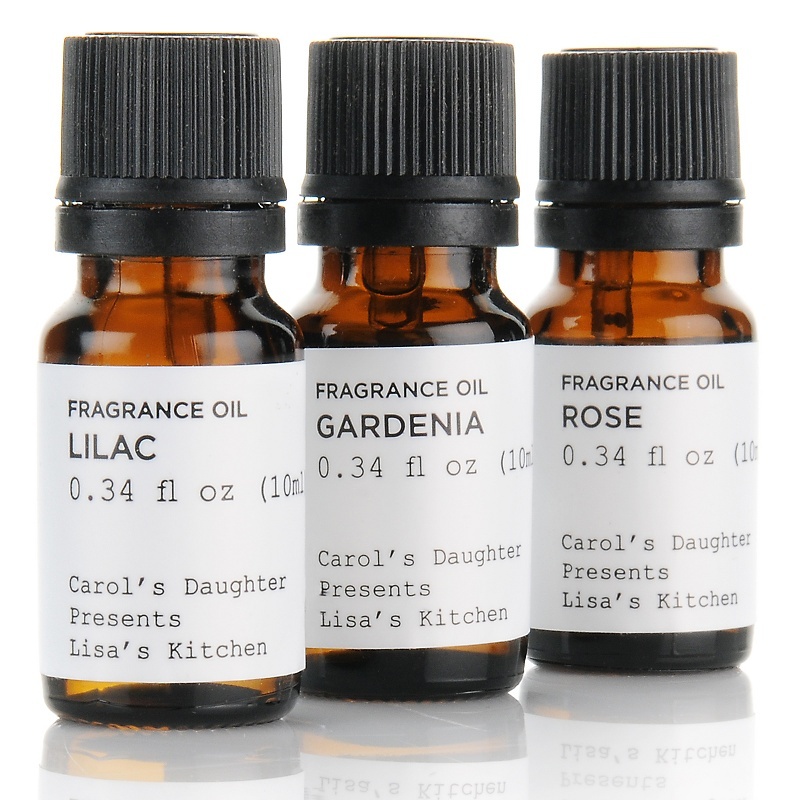 There is an enormous variety of synthetic fragrance oils and they can be tough to spot – some “sound plausible” like lilac, gardenia or blueberry, while others are easier to spot, like “baby powder.” The key is whether it says FRAGRANCE or ESSENTIAL OIL. In comparison, essential oils are highly concentrated and often medicinal plant essences. They are also much more expensive than synthetic fragrance oils. When it comes to shopping for personal care products, find a brand that you trust and stick with it. It can be an overwhelming process to always feel like you have to scrutinize and translate every label (though I HIGHLY recommend that people do this at least once or twice – pick a product that you love and look up every ingredient – it’s actually more fun than you might think and VERY enlightening). As the owner of a company dedicated to using natural ingredients, of course I’d love your business. But more importantly, I want people to feel informed and confident enough to purchase products that are a good fit for their skin and their conscience. Know what’s in your products, know WHO is making your products (click here for a great blog on this topic by fellow natural product-maker, Yancy of Five Seed…e.g. Burt’s Bees is owned by Clorox, Aveeno by Johnson & Johnson), don’t be fooled by well-funded advertising or flashy product labels and certainly not by words like “natural” (this is not a regulated word)…the ingredient label is all you need to worry about.